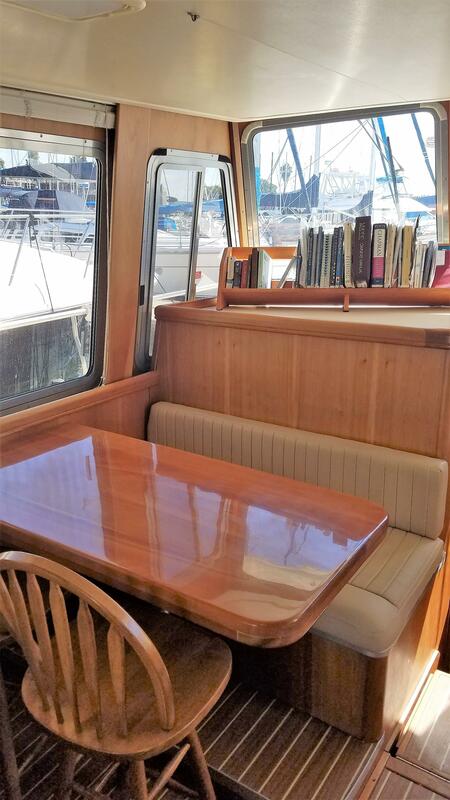 Despera II is a beautiful & spacious, blue-hulled trawler with a single CAT diesel for excellent fuel economy. 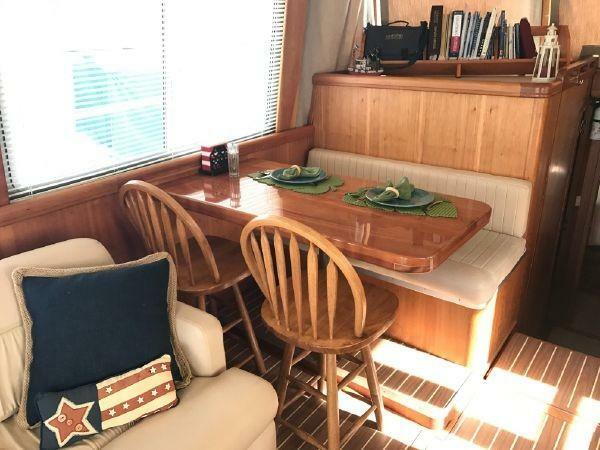 There is plenty of room for seating and relaxing on the bridge. 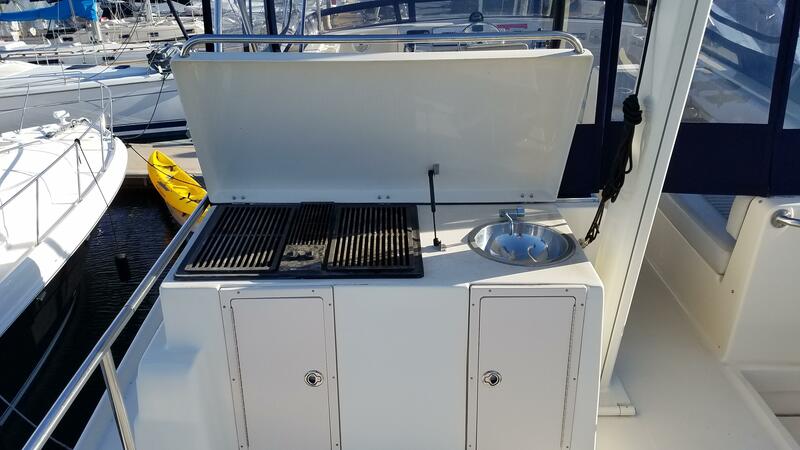 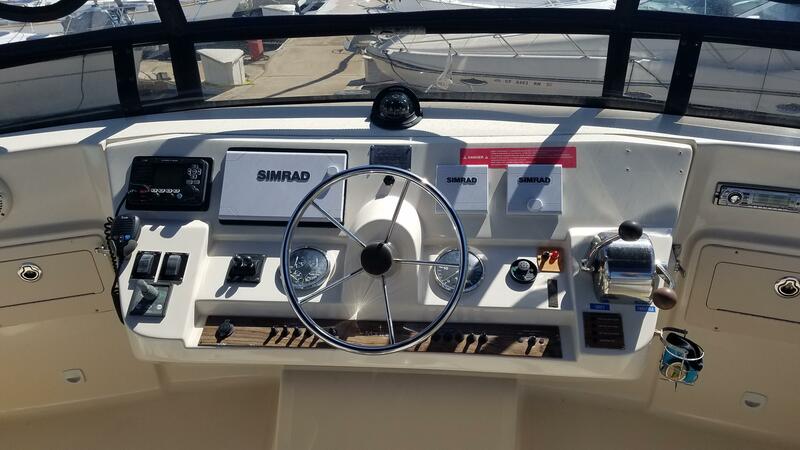 There is even a Summer Kitchen option providing a grill, sink and icemaker aft of the centerline helm. 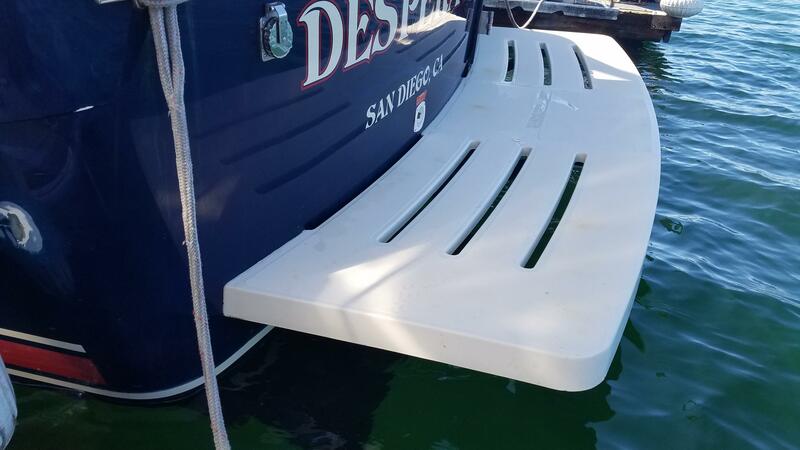 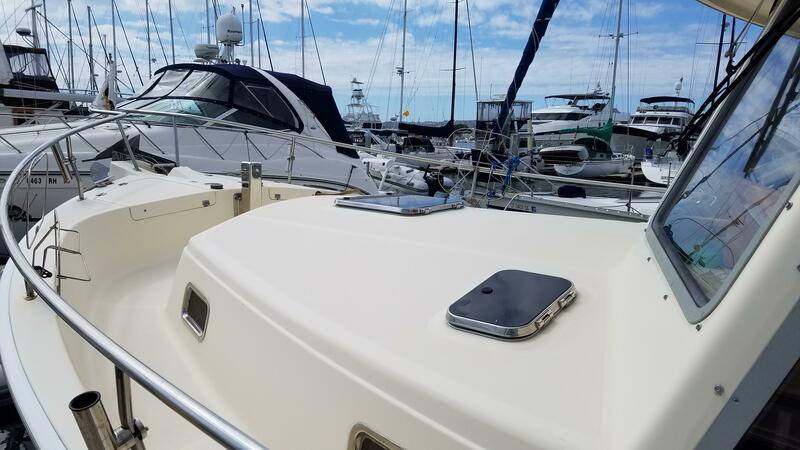 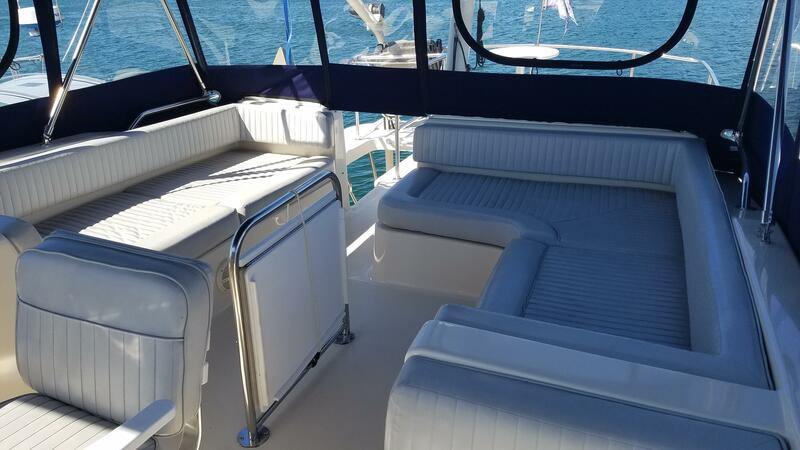 Wide molded steps offer safe and secure footing to the covered aft deck. 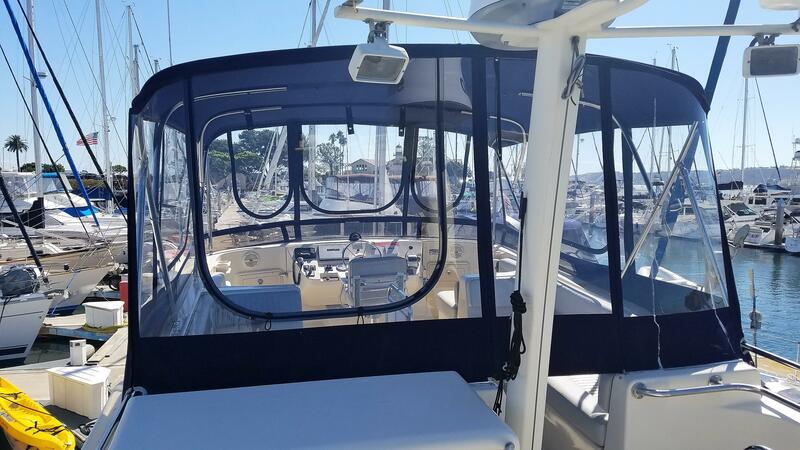 Going forward, there are wide, lighted and recessed walkways with overhead protection leading to the foredeck. 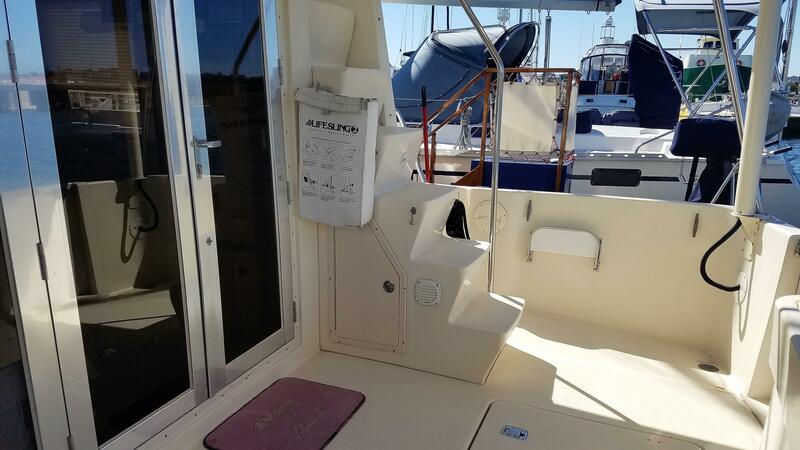 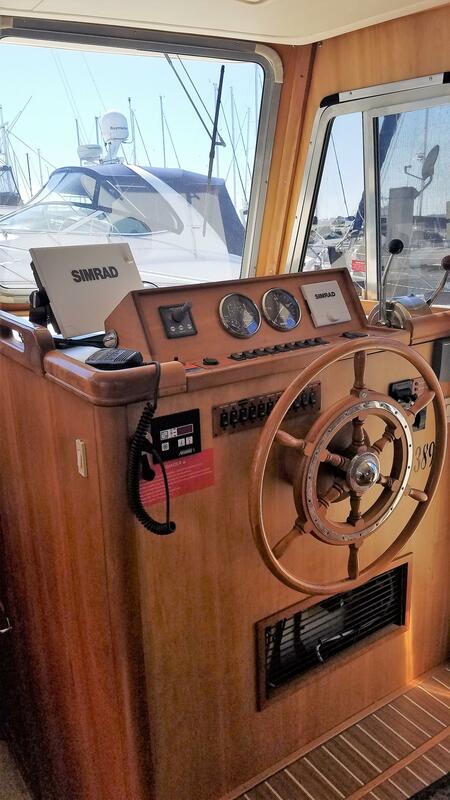 A stainless steel Sampson post and dual roller pulpit is perfect for setting the anchor and the optional windlass makes retrieval a snap. 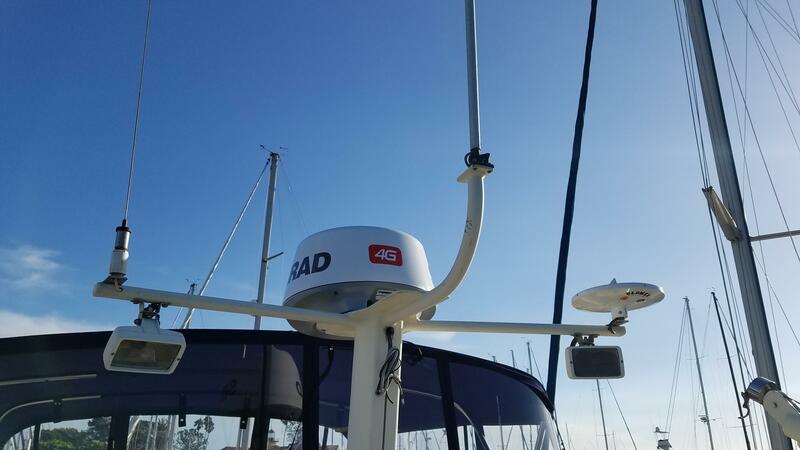 All rails, hatches and portlights are now fashioned from 316L stainless steel for easy maintenance and great looks. 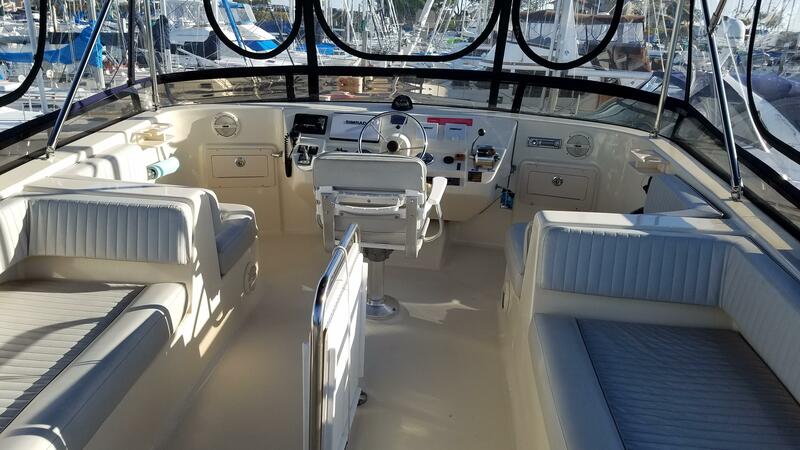 For 2003, all Mainships, including the new 400, are featuring beautiful cherry wood interiors. 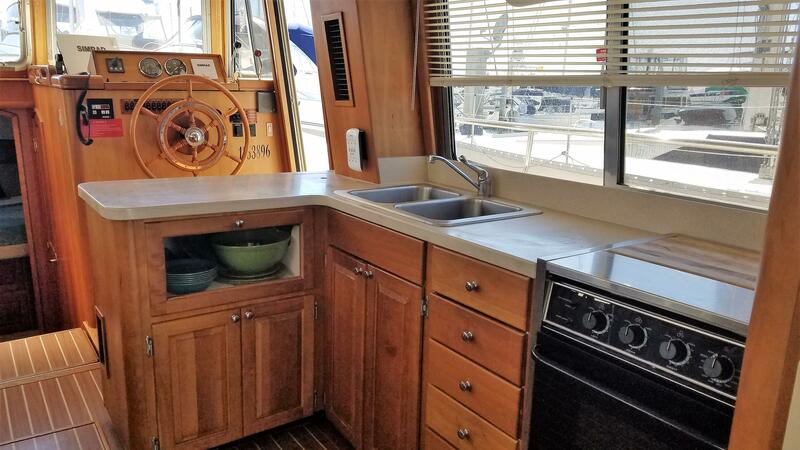 All cabinets, drawers and tables are solid cherry and the optional cherry and holly sole is very traditional as well as serviceable. 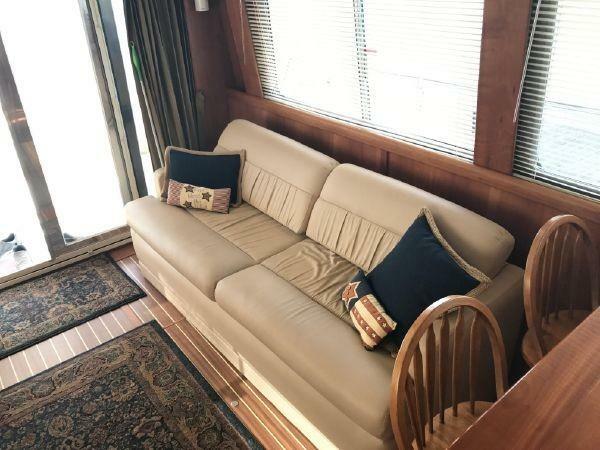 The extended salon includes an Ultra leather sofa. 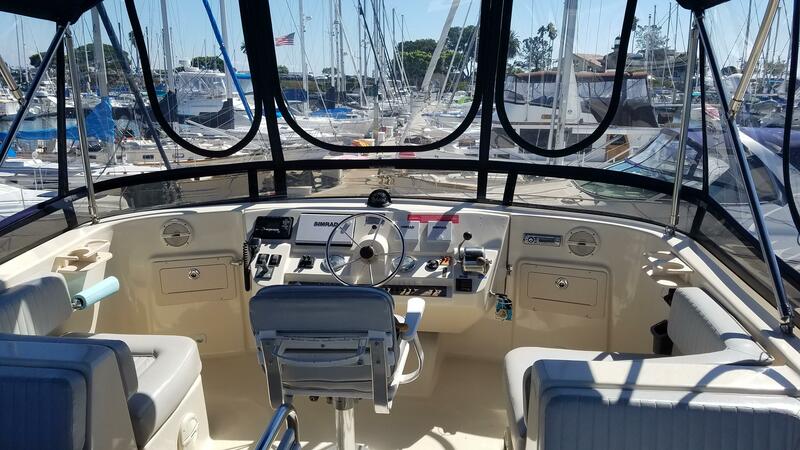 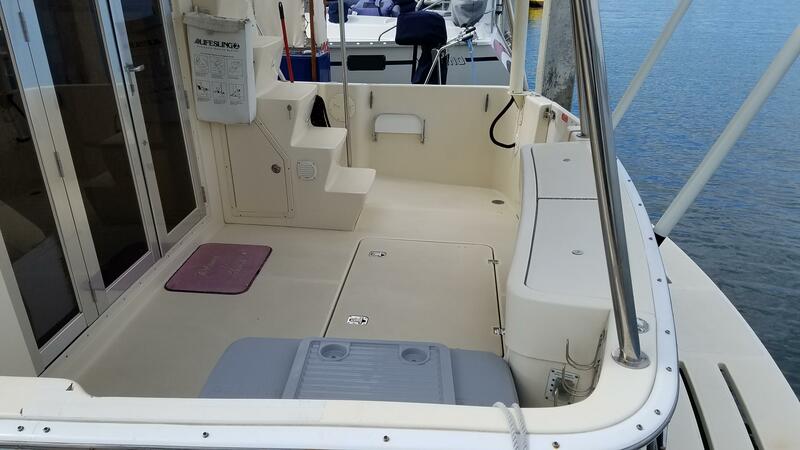 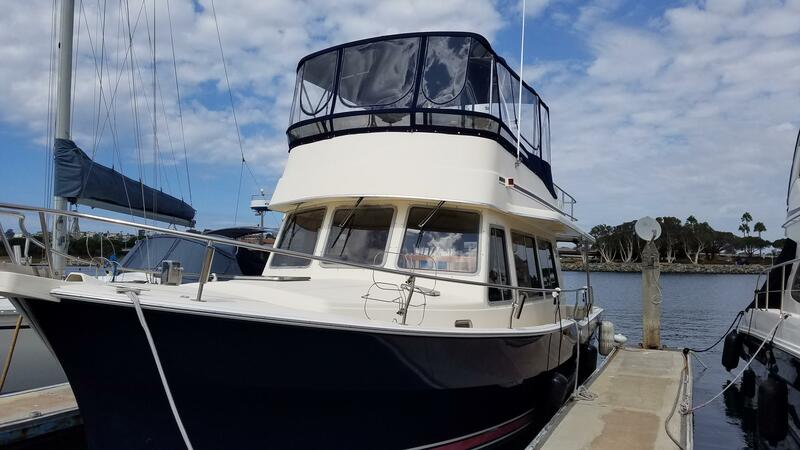 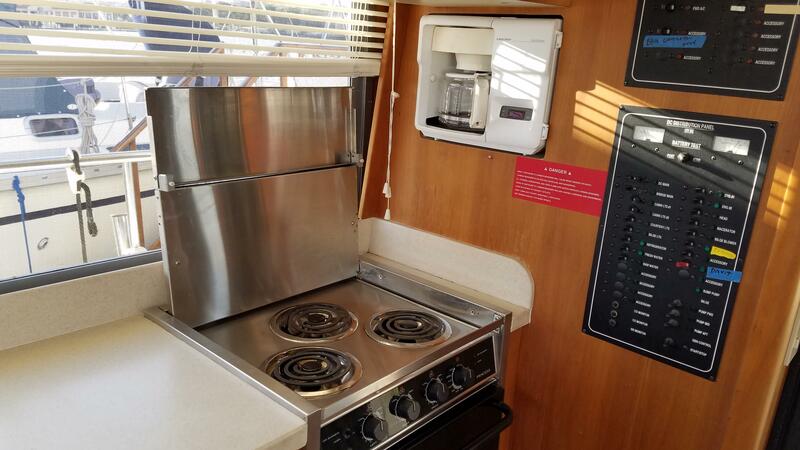 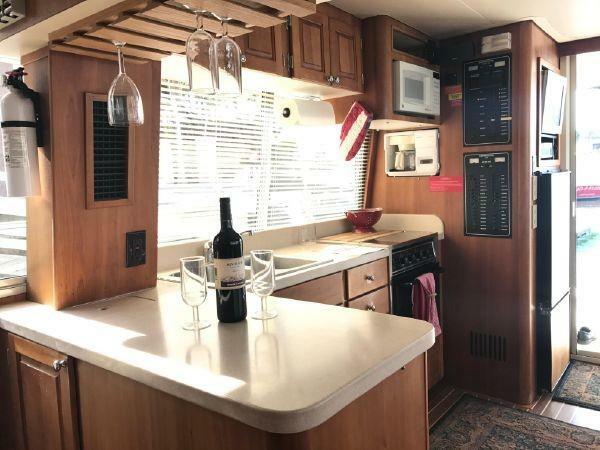 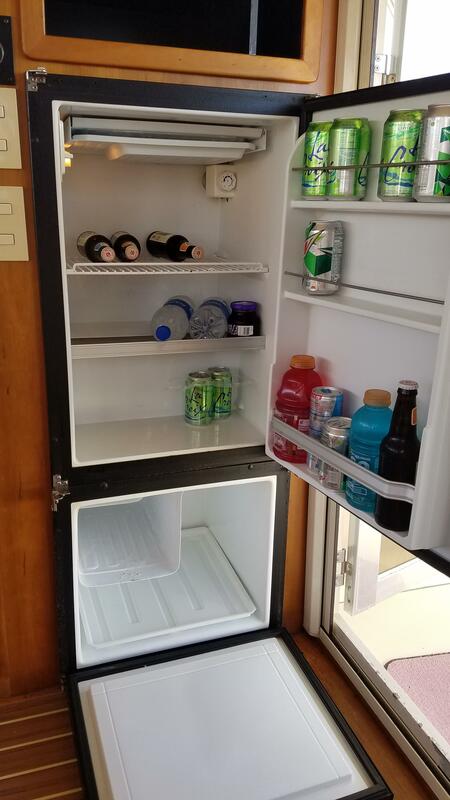 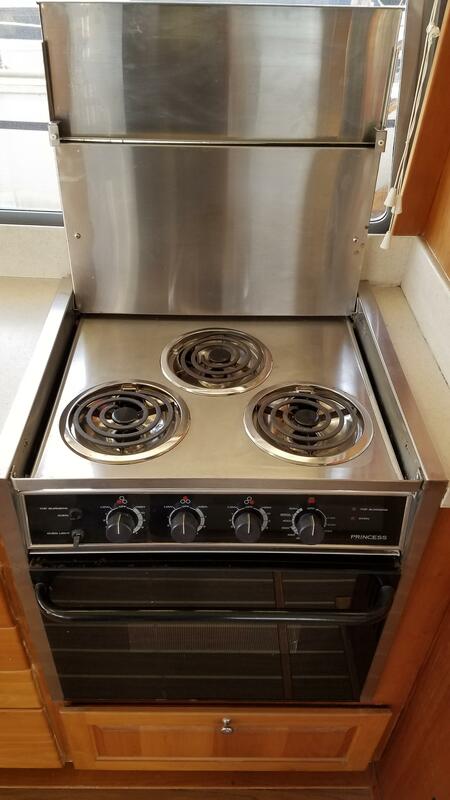 A starboard side galley offers a full size, dual voltage refrigerator and freezer, microwave, 3-burner range and oven, and even a coffee maker. 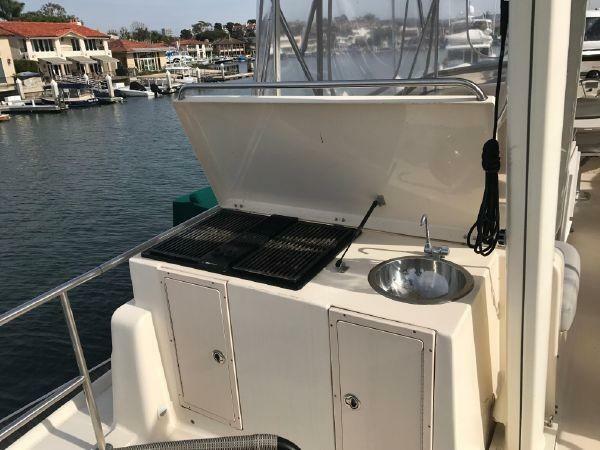 Special attention has been given to general and dishware storage and the location for an under counter trash receptacle. 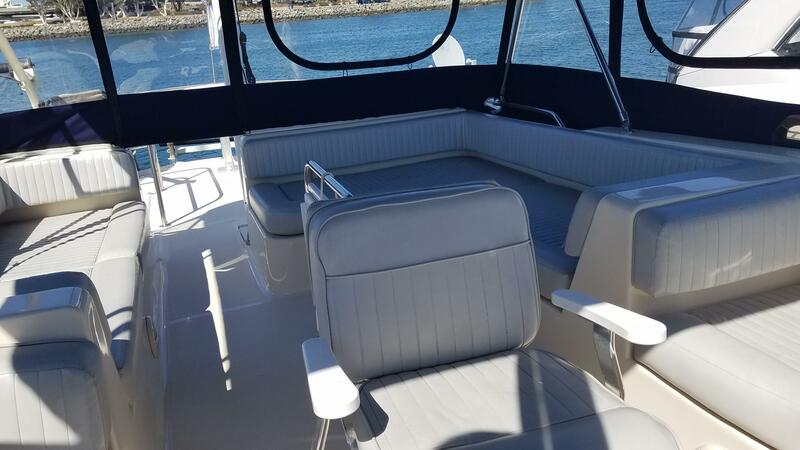 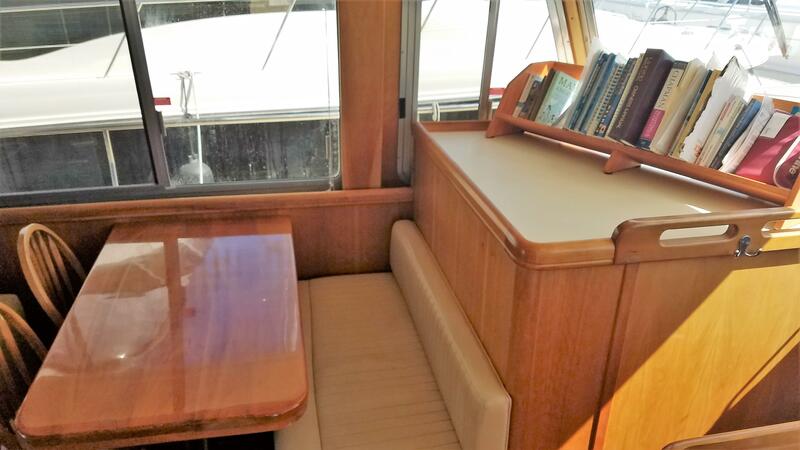 To port of the lower station is a full dinette that seats four with a comfortable bench and two chairs. 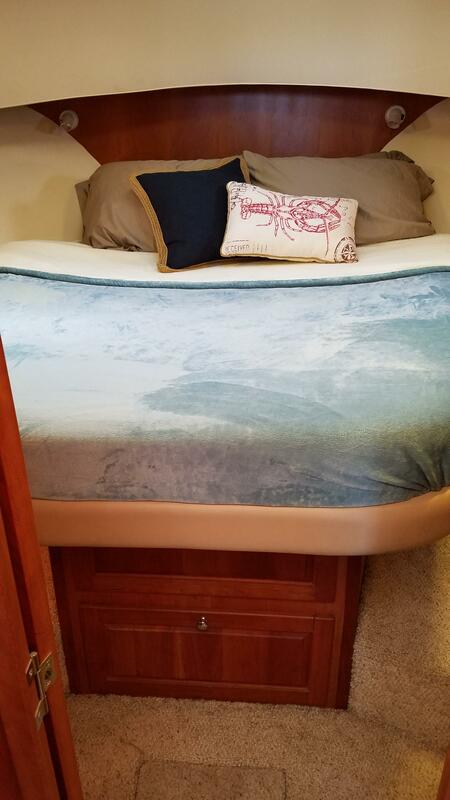 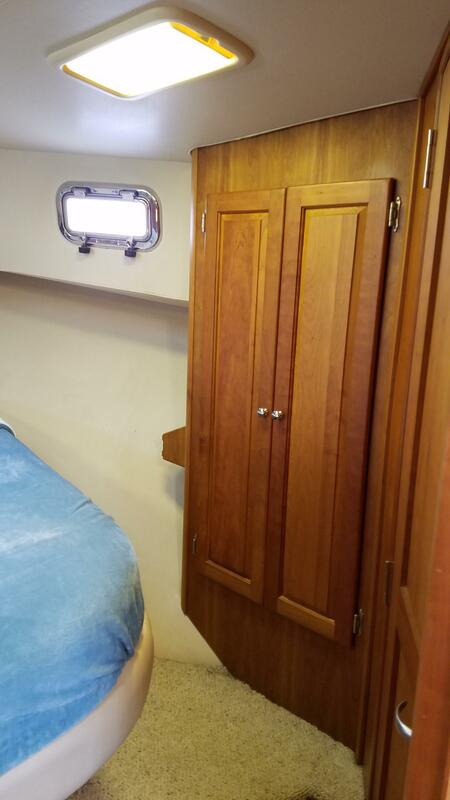 Forward, is a master stateroom with a centerline inner spring queen berth and plenty of hanging, drawer and locker storage. 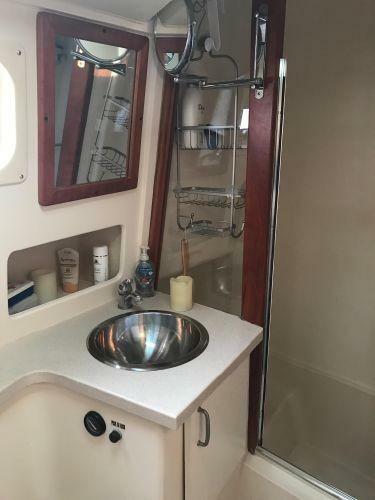 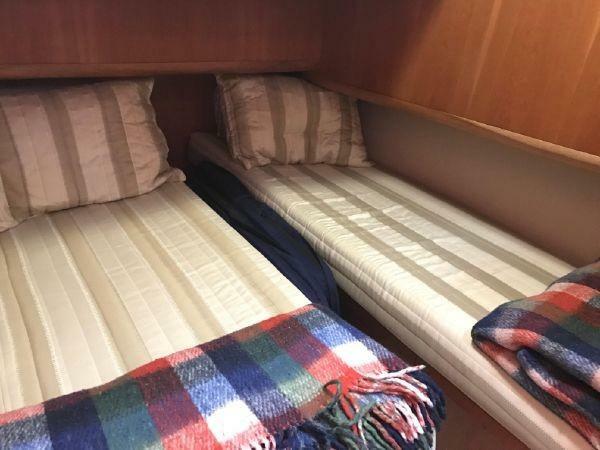 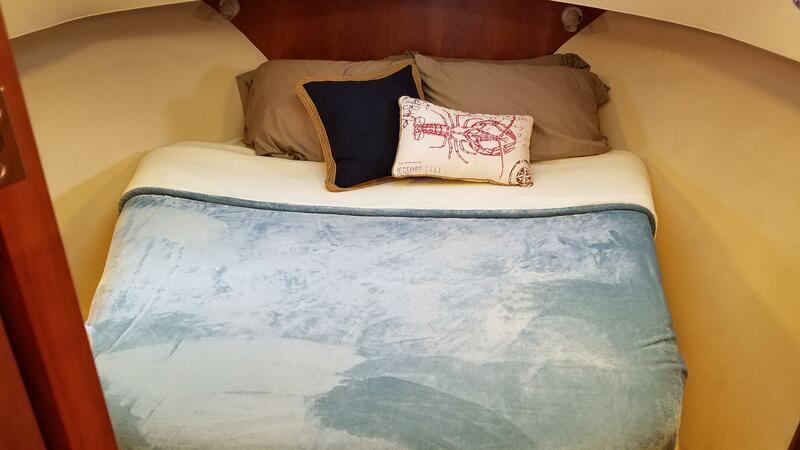 A second stateroom offers two single berths and an optional innovative desk arrangement, and the head, with a separate stall shower is accessible from the master stateroom or the companionway.